Homeclose Fishery is set in the beautiful countryside of Rutland, the smallest county in England. Homeclose Fishery consists of four lakes aimed at the pleasure angler who holds to the more traditional values of fishing. From floats dipping and quiver tips pulling around, there's a world of fishing to enjoy in some of the most magnificent surroundings. If it's Tench fishing at dawn with the suns first rays piercing through early morning mist, or float fishing for Carp in the margins on a warm summer's day that gets you to the bank, then you will instantly fall in love with Homeclose Fishery. A true passion for the traditional values of fishing has lead to the creation of these fantastic lakes. With all four lakes being totally reed lined, dotted with numerous lily beds and overhanging willows trees it makes for a truly special experience. Having only been created in late 2006, you may not expect them to hold any maturity, but with a lot of hard work and careful planning over even such a short period of time they have matured into a perfect anglers paradise. 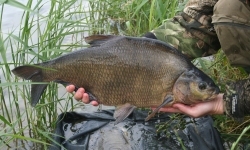 Fish Health and Welfare is at the heart of this fishery, the fish have been catered for as much the angler. Being one of the few fisheries in the country to have a reed bed filter for each lake we can ensure a very high level of water quality, along with other beneficial factors to maximise the fish's health and along with a very strong fish health and welfare policy the term 'quality over quantity' really applies, thus ensuring that you are able to catch 'fin perfect' fish every time. We hope you will enjoy looking through our website and look forward to welcoming you to Homeclose Fishery in the near future.